Welcome to another day of delicious! 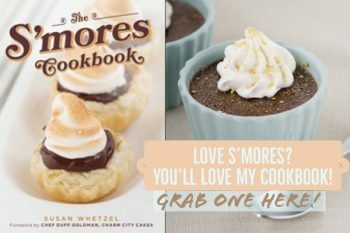 While you read this, I am likely on my flight to Chicago, but Barry of Rock Recipes has stepped in to satisfy your s’mores cravings! 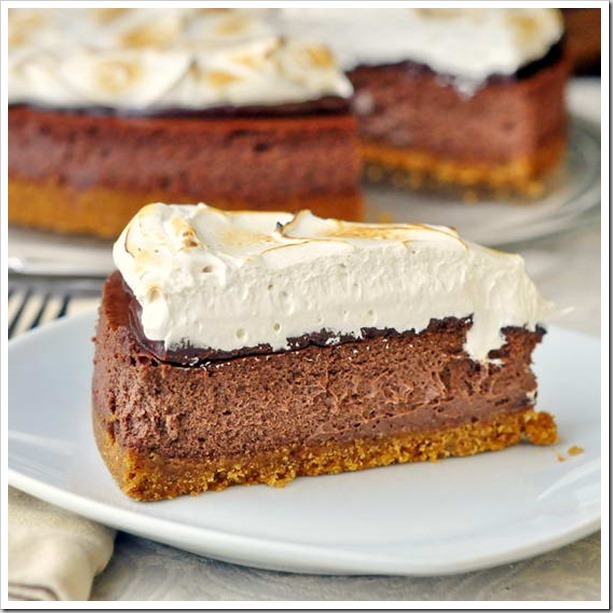 I included a S’mores Cheesecake in my cookbook, based on one of my favorite New York Style cheesecake recipes, but Barry has taken it up a notch with decadent chocolate cheesecake as his base…and man, does it ever look divine! 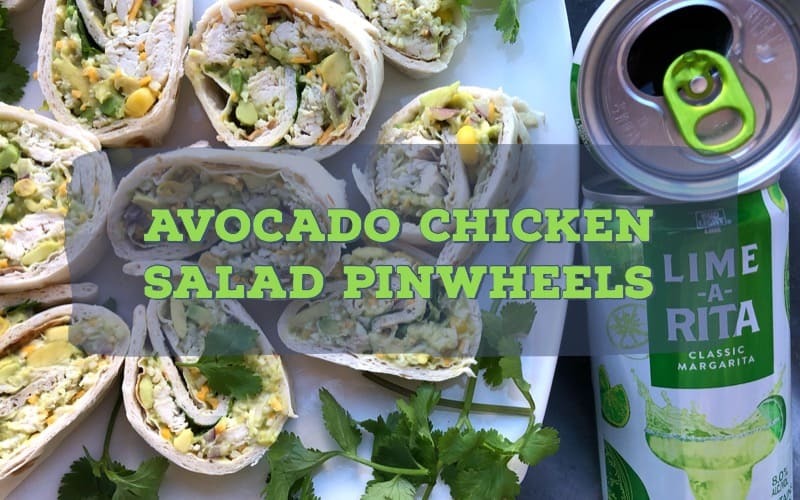 Give it a shot, then check out Rock Recipes for yourself to see some incredible recipes from the north…(can you believe someone in Canada has heard of me?? Me either!!) 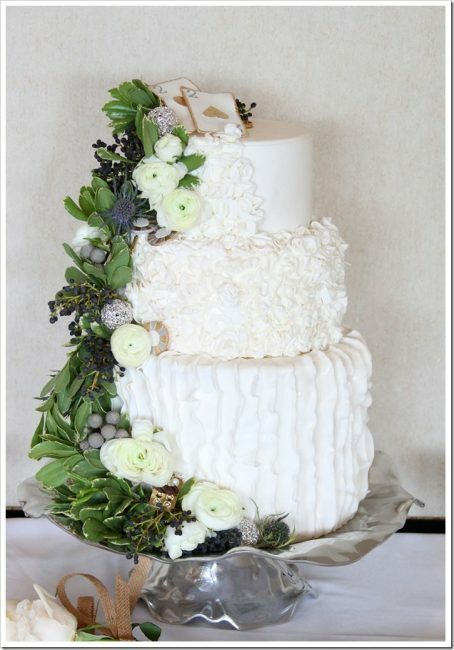 Especially a blog named “one of the best food blogs in Canada” by the National Post. Whoa. Canada is big. That’s saying a LOT. Our family is a bunch of s’mores nuts. 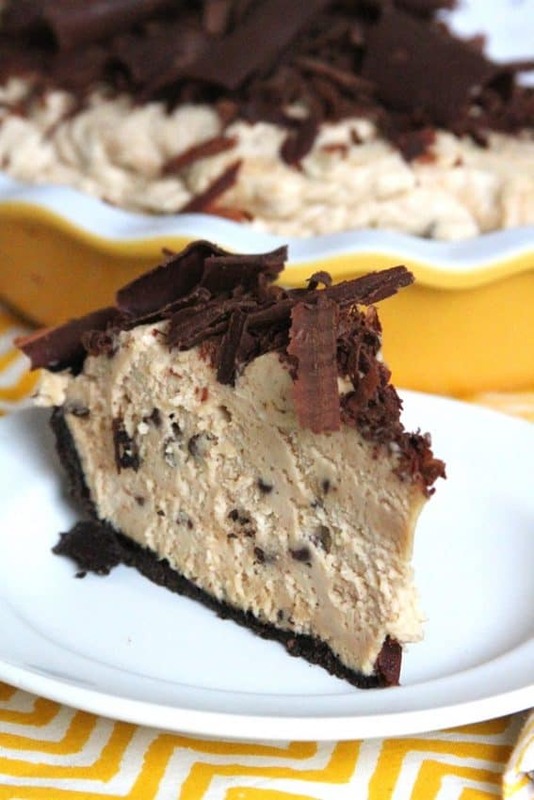 My daughter in particular is a huge fan of anything with graham cracker crumbs and we all love chocolate so when I wanted a new cheesecake idea, this was the delicious result. 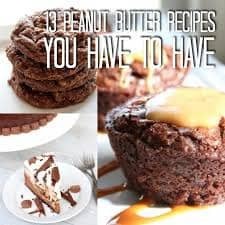 The marshmallow frosting is one that we make all the time especially for our Black and White Cake where we pair it with a dark chocolate cake in a dessert that has been made hundreds of times at our house. This was the first time that I torched it and I was very pleased with the result. With the graham crackers a major part of a great S’more, I knew I couldn’t scrimp on the graham crust layer, so this recipe uses about 50% more crumbs than I would usually put in a regular cheesecake. The creamy, perfectly baked chocolate layer comes next followed by a soft silky chocolate ganache layer for added chocolate punch. Finally a crown of homemade marshmallow fluff frosting gets spread on and torched to golden toasty tastiness. I cut a piece of the cake to take a photo of course before I brought it to the office, After the photo was taken, Spouse and I greedily dug into the sample piece. At the first bite, Spouse blurted out, “That’s my birthday cake this year!” It’s not like the woman doesn’t have lots of choices but that’s just how amazingly delicious this enticing and irresistible cheesecake is. A word about baking a cheesecake in a bain marie before starting the recipe… A bain marie is simply a water bath that buffers the direct heat from the sides and bottom of the baking pan to more evenly bake the cheesecake from the sides to the center. I bake my cheesecakes in a 9 or 10 inch springform pan that has the bottom and sides wrapped in multiple layers of wide heavy duty aluminum foil which forms a sort of boat that the cheesecake pan sits in. The roll of aluminum foil that I use is about 16 inches wide. I use at least 4 layers of foil to make sure that no water leaks in and ruins the crust of my cheesecake. The aluminum foil wrapped pan is then placed inside a larger baking pan; I use a 12 inch cake pan. Boiling water is then poured into the larger pan filling it from 1/2 to 2/3 of the way to the top. Whip to soft peaks and then fold gently into the cheesecake batter. Pour into prepared spring form pan. Bake in a water bath (bain marie) at 300 degrees F for about an hour or until the surface of the cake no longer looks glossy. Remove from oven and immediately run a sharp knife around the edge of the pan to release the cake. Cool completely in the pan before refrigerating. Top with chocolate ganache glaze. Spread evenly on the top of the cooled cheesecake and refrigerate for at least 15 minutes before adding the marshmallow fluff frosting. Stir together and bring to a rolling boil over medium heat but do not stir while it boils. Cook until the mixture reaches 242 degrees F on a candy thermometer or when a 1/4 tsp of the mixture dropped into ice water forms a firm ball. When the sugar syrup gets to the proper temperature, with the electric mixer still running on medium speed, very slowly pour the syrup in a thin stream onto the beating egg whites. Beat until soft but well defined peaks form. 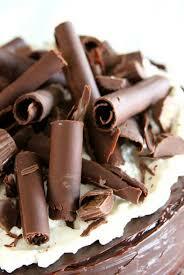 Immediately spread the frosting onto the top of the chocolate ganache on the cheesecake. 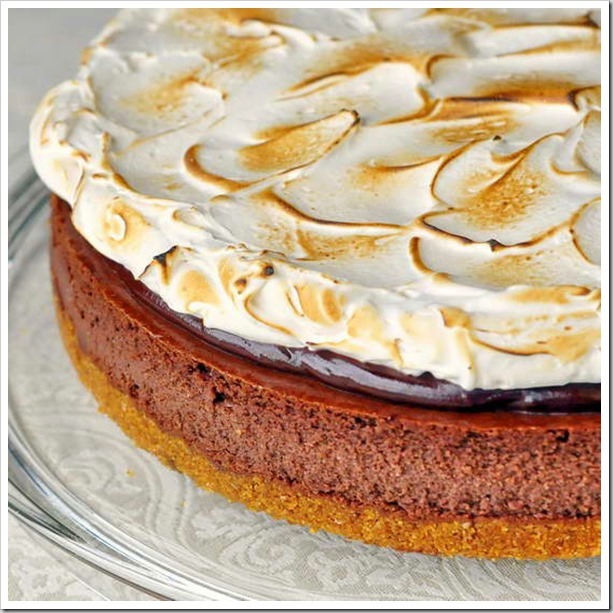 Using a butane kitchen torch on medium flame, carefully wave the flame back and forth in a continuous motion over the frosting until it toasts to a golden brown. If you don’t have a butane kitchen torch you can carefully brown the top of the frosting under your oven’s broiler. Place the cheesecake plate on a pizza pan so that you can rotate it easily while it is under the broiler. Place the frosted cheesecake on the oven’s middle rack under the broiler and rotate about 90 degrees every 15-20 seconds as the top browns. Watch this very carefully and DO NOT leave it unattended; this can burn very quickly. The browning time will vary from oven to oven, so use your own judgment and immediately take it out of the oven when the proper color has been achieved. 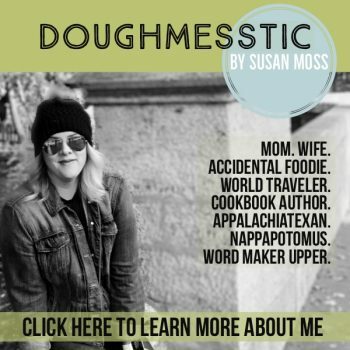 For almost 4 solid weeks, I will have a guest blogger here sharing their own S’mores recipe with you. 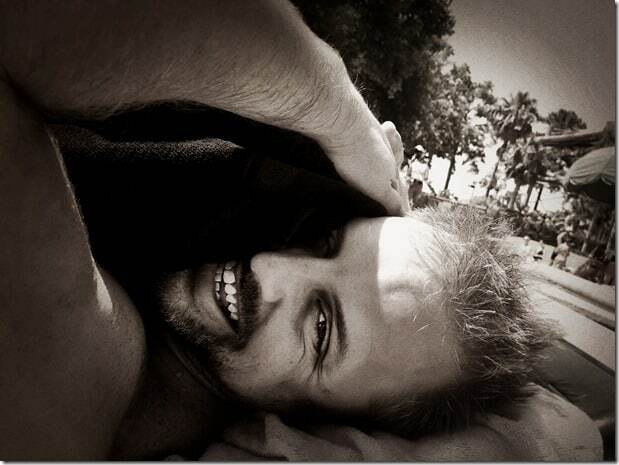 I hope you’ll share their posts the way that you share mine, and show them some love like you do to me! 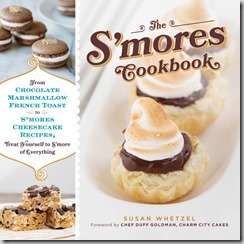 And, if you are itching for more S’mores recipes…here’s that book of mine. Grab a copy on Amazon!